A long time in the planning was the visit to Munich Germany, the trip consisted of both history and Beer and food tasting. We arrived in Munich first by Plane and then by train for the 45 min trip into the heart of the city, with a central Hotel location we had an excellent base to explore the city and use the Public transport. 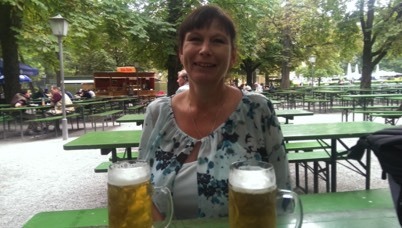 The first highlight of the Tour for me was the Bavarian Food and Beer tour organised by Radius Tours. Munich is the beer capital of the world. It is the home of beer-halls, beer-gardens, beer-cellars and the legendary Oktoberfest. They’ve been brewing “liquid bread” here for 3000 years and they do it better than anyone else. We’ll take you into the heart of Munich’s beer culture, show you where the locals go to drink the real good stuff and let you in on their secrets. This is not a pub crawl. 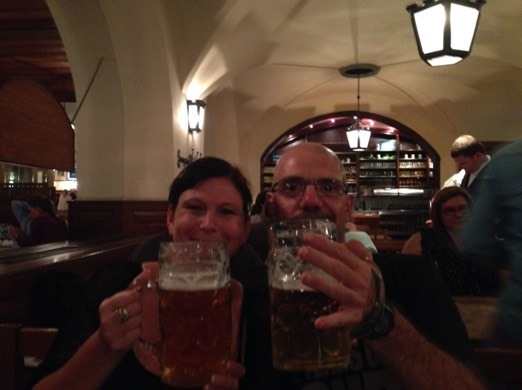 This is a tour through the rich history and culture of Bavarian beer and food. We’ll tell you how beer is brewed and tell fill you in on the fascinating story of German brewing – a story as old as Germany itself. For as long as there have been Germans, there has been beer. From the ancient tribal Hausfrauen brew-women, through the great monastic breweries of the middle ages, to the revered Reinheitsgebot (Purity Law) of 1516 - which continues to be the measure of excellence in brewing today - the world has looked to Germany to set the standards of what a cool drink of great beer should be. And Germany looks to Munich. We’ll show you why. We’ll inform you on the different types of beer available and let you sample them for yourself. And we’ll introduce you to the best traditional Bavarian food in all its variety – Weisswurst, dumpling, roast pork and more. Don’t eat before the tour! We’ll give you an exclusive private tour through the beautiful new Beer and Oktoberfest Museum in one of Munich’s most historic buildings, show you a traditional beer garden, let you experience traditional Bavarian cuisine at our own table in one of the city’s finest old beer halls, and finish at the world-famous Hofbräuhaus. The cost for this trip was a bit high at about 30 euros each and Gail give a Ten Euro Tip that i did not see till afterwards but it made for a great Atmosphere in the great Beer halls of Munich just make sure you don’t like peace and quiet you cannot hear yourself think in the Hofbrauhaus.